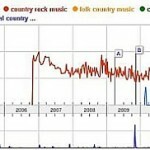 Tags: Music consumer topics, Music reviews. Heavy metal is one of the most popular music genres. Other music genres such as pop, country and rock; you need to have some reference music when you are mixing. Reference music should be something that sounds “standard” or “broadcast-ready” to your ears; something that you wish your mix to sound like. 1.) Get the average level of your mix in RMS dB. Most digital audio workstation software includes this feature. For example; in Reaper DAW this is the JS:SCHWA Audio statistics plug-in. 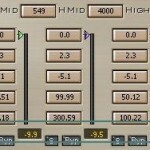 Insert this plug-in as a master bus effect to measure the loudness level of your mix. 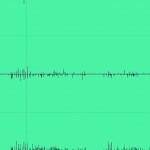 You can read this tutorial on Reaper audio mastering to know how to insert FX on the master bus. 2.) Look for the information RMS total loudness dB in the result. There are two values, which stand for the LEFT and RIGHT channel of your mix. Take note of these values. 3.) Insert your reference track in your audio mastering software and insert the audio statistics plug-in on that track. 5.) Use any volume reduction plugin in your software to reduce that volume. Again, this will depend on what DAW software you are using. Lower down the volume of the reference track to match the volume of your mix. Different audio mixing engineers have a different taste in music. When producing heavy rock music, the following songs work for me very well, and I am hoping it will work for you too. 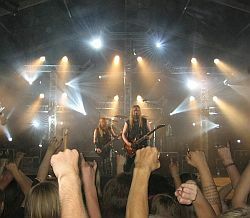 As an introduction, heavy-metal music started with origins from the early 70s and 80’s. In this period, the music is still not considered to be very heavy because the bass component of the mix is lacking comparing today. 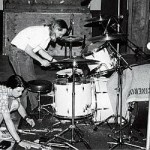 This is due to the music production recording methods implemented in those days. With the coming of digital technology in music and some advancements in analog technology, it results to a more hi-fidelity recording. This will have a wider frequency response in terms of bass and treble. As a result, heavy-metal music is getting heavier now. Mixing for heavy metal will strongly focus on the drums, particularly the double-bass section and the heaviness of the guitars and bass. The heavy guitar riffs sound great along with the drums, particularly the snare, double bass and cymbals. This is one of my most favorite Sepultura songs. This song features some great arrangement which I found rare in the most heavy-metal music. For example, it starts with a fast tempo typical for most speed heavy metal music. One of the trademarks of this song is the change in tempo. At the finale, it changes its tempo from fast to moderate. The guitar riffs and accompanying drums sounds great. The arrangement sounds unique and nice. Listen to this song with the volume level crank up, the dynamics has been well preserved!